JUNEAU, Alaska (November 9, 2012) - Alaskan Brewing Co.'s 2011 vintage Smoked Porter was awarded a silver medal in the Smoked Beer category at last weekend's Brussels Beer Challenge. The new award is a great addition to the many international and domestic awards adorning the proud bottleneck of Alaskan Smoked Porter since its first release in 1988. 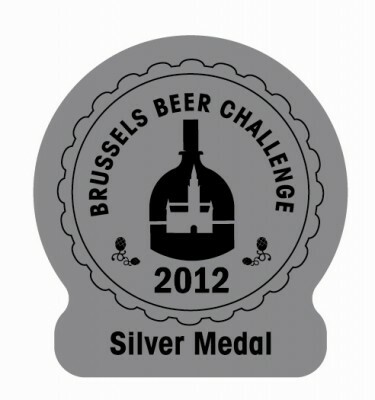 The Beer Challenge event is new this year, and brought beers from around the world to Brussels, Belgium to compete in a variety of categories. The win is especially exciting for Alaskan Brewing Co. who recently began distributing Smoked Porter in limited quantities in Europe through Netherlands-based Bier&cO beverage distributors (see original announcement). Alaskan Smoked Porter's dark, robust body and pronounced smoky flavor from in-house alder-smoked malt, make the vintage-dated beer an adventuresome taste experience. Alaskan Smoked Porter is wonderful when fresh or cellared for enjoyment in years to come and is the only Alaskan Brewing Co. beer currently distributed outside the United States. Its effectively-unlimited shelf life ensures that European consumers' experience with the beer will not be adversely affected by the long travel times. The 2012 vintage of Alaskan Smoked Porter released November 1 on draft and in 22 oz bottles throughout the 14 states where Alaskan beer is sold.